Denmark and many other countries in the world are working hard to come up with initiatives that would held them reach the climate goals stipulated by the 2016 Paris Agreement. The government has already proposed banning diesel and petrol cars by 2030, and now a new report has revealed the most affordable method for Denmark to reach its 2030 goals is to replace 4,500 diesel buses puttering about the country with bio-buses. The report, produced by the consultancy firm Damvad Analytics, showed that doing so would reduce CO2 emissions by 513,000 tonnes and cut fossil fuel dependency by over 300 million litres of diesel – one third of Denmark’s overall emission reduction responsibilities looking ahead to 2030. Almost all buses and trucks in Denmark run on fossil fuels, and particularly diesel, but across the bridge in Sweden 20 percent of buses run on bio-gas. 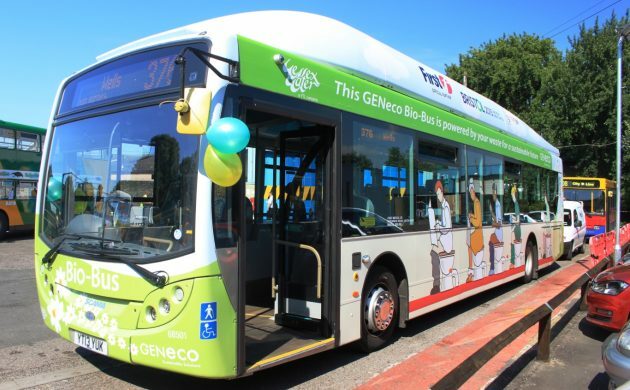 One bio-bus saves society upwards of 114 tonnes of CO2 annually, compared to a diesel bus. “It’s actually disappointing that we aren’t further ahead with the green transition in the transport sector. We’ve had all the opportunities to do something about it, but the development has halted in the debate regarding electrical cars,” said Ole Hvelplund, the head of Denmark’s biggest producer of biogas, Nature Energy.